In 2017, BC had the worst fire season on record. Firefighters battled the flames night and day to keep people safe and reduce damage. It’s 10pm on Canada Day, in the small community of Harrison Hot Springs. Vic Upshaw’s unit crew of 20 firefighters gets called in to fight a nearby fire that has already consumed several hectares. An initial attack team had assessed the fire and asked for help. Upshaw knows a fire of that size would take some time to put out. So the firefighters travel with their tents, camp within a kilometre of the flames, get bitten by mosquitoes, and wake up early to spend as much time as possible on fighting what would become known as the Harrison Lake fire. According to the BC Wildfire Service, the summer of 2017 was the worst fire season on record. The total area of burned forest was more than 1.2 million hectares, which is almost 10 times more than the annual average for the past decade, covering an area more than twice the size of Prince Edward Island. It is estimated that the fires displaced over 65,000 people and many lost their homes and possessions. Several factors played a role in the severity of this fire season. Kelsey Copes-Gerbitz, a PhD student at UBC, studies ecological and cultural components of forest fires. She says the winter of 2016–2017 was extraordinarily wet, which led to higher amounts of ground vegetation that later dried out and became fuel for the fires. She adds, “On July 7, which was the day that most of those fires started… a dry lightning storm went through the Interior, and that started upwards of 130 new fires in a two-hour period. To react to something like that…. Where do you even begin?” Ryan Turcot, information officer at the BC Wildfire Service, says over 4,700 firefighters and other specialists—from fire-cause investigators to air tank officers—were deployed to fight the BC wildfires in the 2017 season, which is almost three times the average number of workers brought to service during previous fire seasons. Despite the challenges and danger, they managed to handle the situation effectively; there were no fatalities among the local residents or the fire crews. The Harrison Lake fire posed problems for the firefighters because of the steep terrain. Upshaw says when the slope turns into cliffs, the fire gets inaccessible from the ground, which means the crews can’t directly attack it. Instead, they used air support, such as helicopters and air tankers but, as Upshaw says, those methods don’t put out fires. What they can do is lower the fire intensity and slow down the rate of spread, which can buy firefighters some time to build bulldozer guards and connect them to natural fire breaks, like lakes or ponds. This strategy helps prevent the fire from spreading, so it’s easier to work toward extinguishing it. That is what Upshaw’s crew did on the Harrison Lake fire, along with monitoring it 24 hours a day. 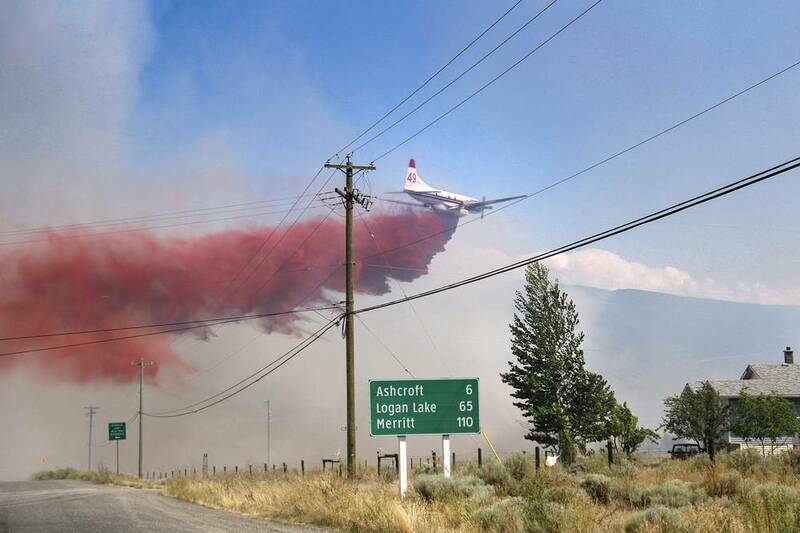 An air tanker drops retardant on the Elephant Hill fire over Ashcroft, BC. Like their counterparts who work in cities, forest firefighters have access to water trucks and fire hydrants. Wildland and urban (structural) firefighters cooperate closely, for example, in the case of “interface” fires, when flames spread from buildings to the woods and vice versa. To safely contain a blaze inside a building, proper protective equipment is needed, and that’s where structural firefighters can offer their support. Upshaw notes, “Everything burns by the way, even metal.” Teamwork is essential when it comes to emergency response, especially when the forest is burning on the border with communities and urgency is rising. The key to fighting rapidly spreading wildfires is to get to them while they are still small. Nigel Burrows, senior protection officer with the BC Wildfire Service, explains how firefighters know when a fire becomes uncontrollable: “When it’s not one or two trees at a time, but it’s actively burning as a wall of flame going through the tops of the trees, it begins to propagate. So, sparks or even just radiant heat cause the next tree to catch fire and so on…. When you have a wall of fire, or a crown fire, that’s not controllable.” He notes that in 2017 some of the fires in the Cariboo grew more than 20 kilometres in a day. All firefighters can do in the case of such uncontrollable crown fires is try to lower the intensity by deploying air tankers, and applying retardant around nearby structures to keep the residents safe and reduce property damage. The steep and rugged terrain of BC makes many fires inaccessible from the ground. In this case, the BC Wildfire Service would deploy “rapattack” crews, firefighters who rappel from helicopters to directly fight the fires in remote locations. Jeremy Neufeld, a fire crew supervisor with the BC Wildfire Service’s rapattack program describes his schedule, “We don’t often know the next day what we’re going to do. We can get a call late at night saying, ‘Hey, you got a mission tomorrow.’ If I haven’t got a call, one of the first things I do is I fly around in a helicopter (I don’t pilot it, but I travel in a helicopter) to check everything and make sure all of our equipment is there, that it is good to go; the crews’ bags are loaded, so when we do get the call, all we do is load up and go.” He says there are hazards associated with most of the things they do, but the greatest focus is required when the crews rappel down to the fire and the pilot is holding the helicopter in a hover position while making sure that the rotors are not hitting the trees. Firefighting is a very physically and emotionally demanding job. Long hours, tough conditions, and unpredictability of the fires can come as a shock to someone who is unprepared. Getting up before sunrise, being away from family for weeks, and performing gruelling physical work are just a few challenges forest firefighters face. 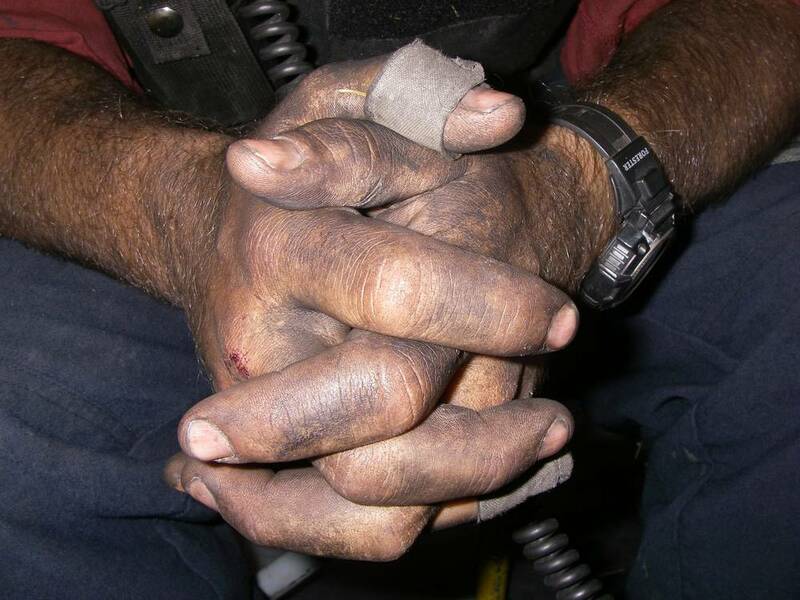 The worn hands of a firefighter. The support firefighters give to each other goes beyond just one crew. It surpasses provincial and sometimes even national borders. It’s common practice in the wildfire industry to share resources when needed. Last summer, firefighters from as far as New Zealand and Australia came to BC to help the local crews. Upshaw recalls, “An interesting thing that I’ve discovered over the years is that although these different organizations have different uniforms, maybe a different language or a few things that are just slightly different… these are the same people I work with every day; they are just from another country. [Firefighting] attracts a certain type of person; those traits are pretty universal and it’s just awesome.” Neufeld mentions an agreement between BC and Alaska to share firefighting resources. He has been to Alaska twice and says that travelling to help local crews is one of the most beneficial and rewarding experiences a firefighter can have. 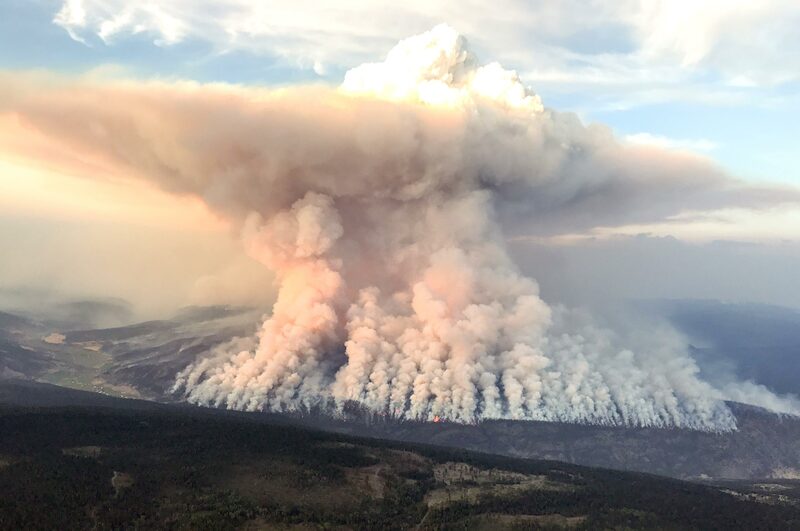 Wildfires play an important role in BC’s ecosystem. In fire-prone environments, regular surface fires are normal and keep grasslands and forests in check, preventing fuel from building up. Without naturally occurring fires, vegetation on the forest floor accumulates and creates what is called “ladder fuels,” according to UBC fire ecologist Dr Lori Daniels in a 2017 Branchlines article. Ladder fuels are problematic with denser forests and a shorter distance between the canopy and the underbrush. “Instead of having predominantly surface fires, these fires will have greater chances to climb into the crown of trees likely leading to higher intensity and severity fires with consequential impacts on local social and ecological system,” says Raphael Chavardes, PhD candidate in forestry at UBC. Species diversity is also essential to limiting fires in fire-prone environments. 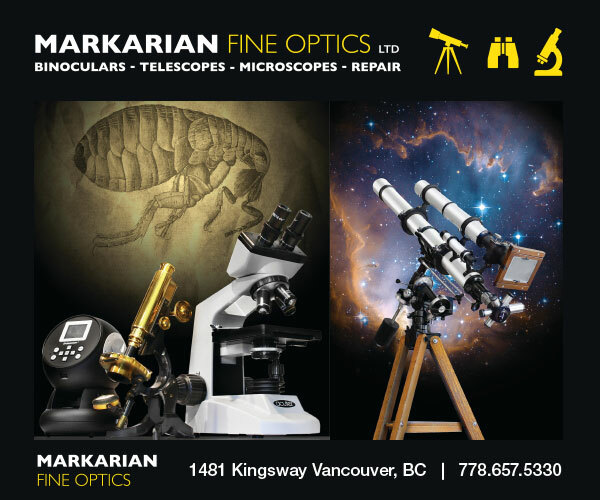 A report from a Canadian Forest Service publication, The Mountain Pine Beetle: A Synthesis of Biology, Management, and Impacts on Lodgepole Pine, says that without fire, conditions become favourable for lodgepole pines to grow uninterrupted. Once large stands of lodgepole pine begin to age, conditions become optimal for mountain pine beetles to attack as the trees weaken. Variations in areas where fires occur from season to season can affect which trees dominate certain areas. In the book Fire Ecology: United States and Southern Canada, the authors write that if a fire passes through a primarily Douglas-fir forest, the fire will promote the establishment and growth of ponderosa pine. This is because ponderosa pines have a thicker bark and deeper roots that can withstand fire better than the Douglas-fir. Despite the potentially catastrophic impacts of large fires, flora such as the ponderosa pine have adapted and thrived in naturally fire-prone landscapes. In the field guide Trees of Western North America, the authors write that healthy stands of ponderosa pines typically experience “ground fires at intervals that average between two and 20 years.” After a fire has passed through the forest, the scorched soil beneath the tree is an optimal area for seeds to germinate, which allows ponderosa pine forests to regenerate. “Fire triangle” is widely used to describe three components needed to start a fire: fuel, heat, and oxygen.